The moment you decide to gift something to your sweetheart on valentines day, you start deciding upon heart shaped goodies. 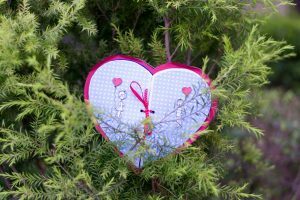 For people like me who love making handmade gifts there are plethora of unique, heart-shaped DIY crafts to choose from…..make heart-shaped pillow overs, heart-shaped wax crayon hearts, heart-shaped bookmarks, heart-shaped tea bags, and many more….. 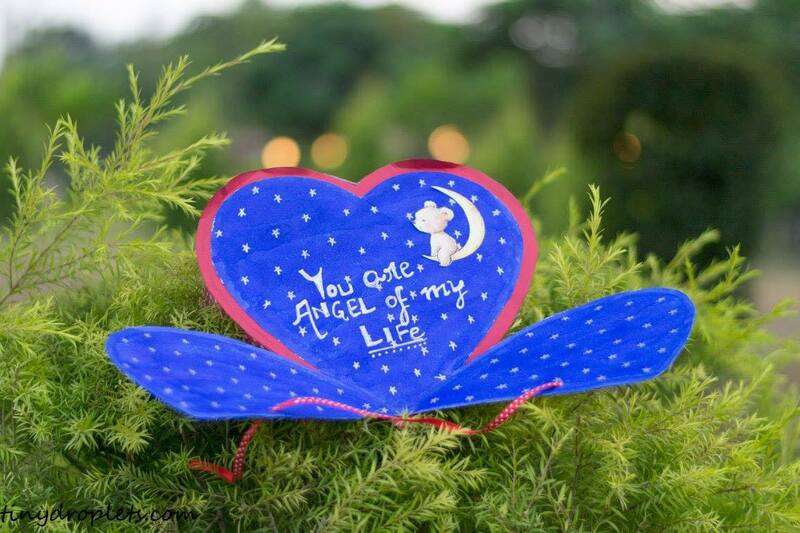 If that’s too cheesy for you, you can also show some heart-shaped romantic love in the form of heart-shaped fold able card. This card looks amazingly beautiful with star-full night theme. Cute little teddy sitting on the moon displays perfect essence of love. On this valentine day, the card can be an awesome idea to surprise your partner. One can write message or stick an old time pic inside the card. This is an easy project. You need to gather paper, blue ink, glitter pen, scissor,stickers and ribbon. Start by drawing heart shape on a paper. Cut the heart shape which was drawn. 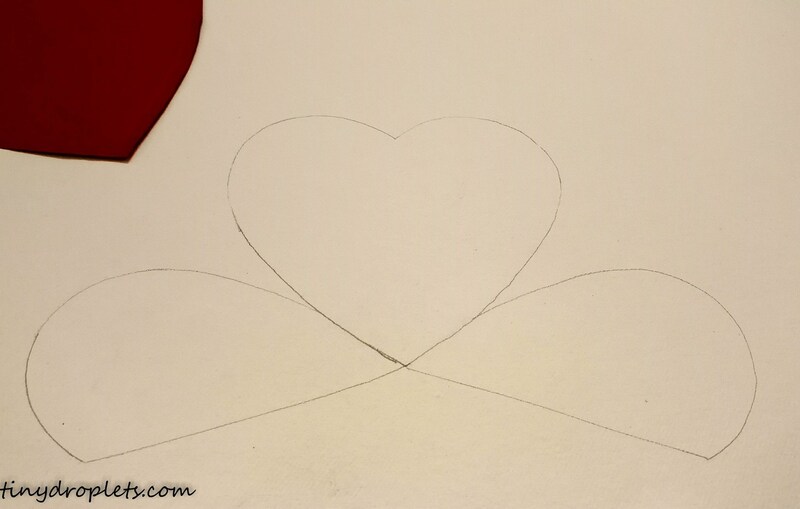 Trace the outline of the heart, now fold the heart from center and trace the half heart edges as shown. Its necessary to keep the angle between the two hearts same, this is important to fold the hearts equally. Once outline has been traced use a scissor and cut out the figure. You will see that the two halves when folded upwards covers the middle heart completely. Now its time to paint the heart. I have used blue color ink inorder to give a dark night effect. Use a paintbrush and with light strokes color the card completely inside. Keep it aside to dry completely. As Ink is very thin liquid don’t apply many coats as the paper may start to wither. Using silver sparkle pen write some message and draw small stars. Once Inner portion is complete its time to decorate the cover. All that I have done here is take few craft papers and stick to the two half’s of the heart. After that I punched two holes at the center of the heart towards the opening portion. Glued lovely cartoon characters and tied knot using a ribbon.